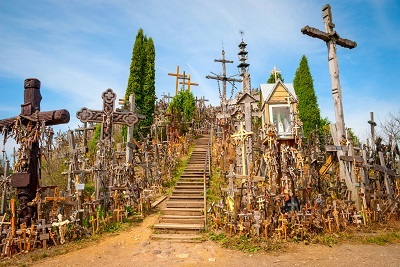 Guided tours in Riga, Latvia and Baltic's - Sightseeing tours. Group tours. Guided tours in Latvia – Sightseeing tours. Discover beautiful Latvia from a new point of view with AroundLatvia sightseeing tours! Explore the old town of Riga, shop and see the sights of the central marketplace, see beautiful Art Nouveau architecture, and discover castles and ruins just outside of the city of Riga. Explore this historic area with a certified guide, who will share local stories, legends, and history as you see the sights. The Old Town is our most popular Latvia sightseeing tour. Discover Latvian culture in the marketplace, where you’ll find 5 pavilions full of Latvian food, clothes, toys, and more. It’s a UNESCO World Heritage Site! Riga, Latvia is famous for having the biggest collection of Art Nouveau buildings in the world, and AroundLatvia guides will show you the best sights. 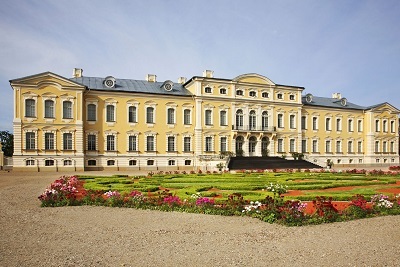 Spend a day in Latvia’s beautiful countryside and see the incredible Baroque and Rococo-style Rundale Palace, along with the palace gardens and museum. 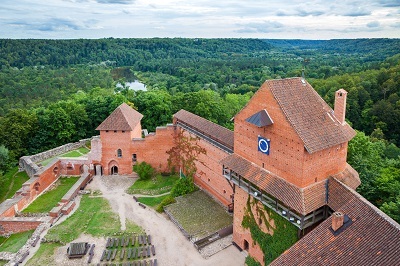 Spend a day enjoying Latvia’s rich history and peaceful countryside. Explore a cave, see castles and ruins, and learn about the medieval history of the area. Spend six days exploring the best highlights of all three Baltic countries! Visit museums, towns and cities, castles, archaeological sites, markets, and more. Do you have special requirements? AroundLatvia’s certified guides can take you on a specially designed sightseeing tour upon your request! We offer many guided tour options, allowing you to choose the tours in Latvia that work best for you! Our tours can be delivered in a language you understand—just let us know at the time of booking. Inquire here for dates, times, and prices. If your party includes 2-60 people, you can book a group tour to get personalized attention from our friendly guides. When you book an individual tour, you will join other tourists on the sightseeing tour. Perfect for the individual traveler. If you want to spend an entire day exploring Riga and its surrounding sights, sign up for one of our full day tours. When you book a private tour, you can choose the time of your tour and the locations you want to visit. Want to combine two or more of our smaller tours into a full day experience? Ask us about our combined day tours.